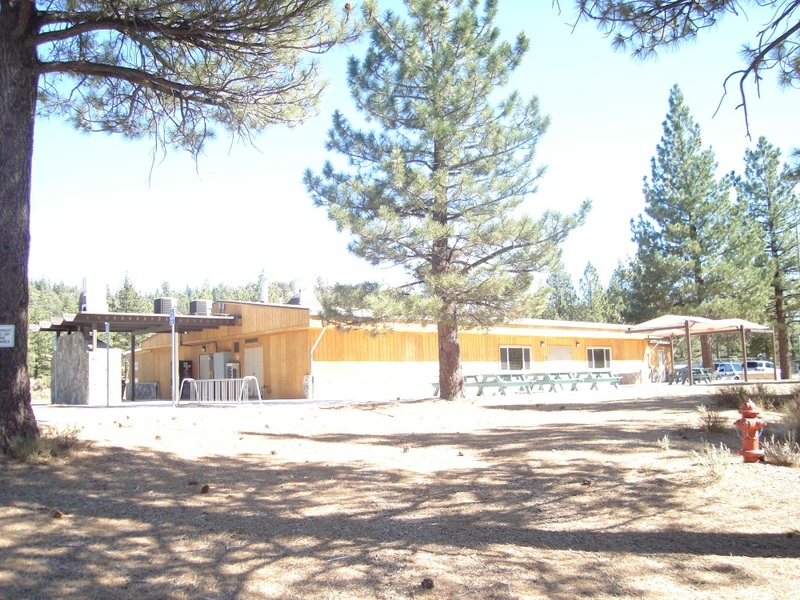 Turtle Rock Park Community Center located in the beautiful Toiyabe Wilderness is available for rent to the public for meetings, events, or activities. The center consists of one large room with a maximum capacity of 150 seated and 300 standing occupants. The use of parking lots, a commercial kitchen, tables, chairs, and a coffee urn are included with the rental. There is an outdoor deck area with picnic tables overlooking a panoramic wooded area which is a great location for photographs. Also included in the use of the facility is a barbecue area with two drop down grills. Call Alpine County Community Development at 530-694-2140 for availability. County department use for official county business. Use by other government agencies to provide services to county residents; or to provide information and / or obtain community input on government agency actions, services, plans, or proposals that directly affect Alpine County lands or Alpine County residents. Must be an established group based in Alpine County (i.e. primary mailing address is within Alpine County), or with participants made up primary of Alpine County residents and / or owners of real property located in Alpine County. Includes business meetings, events, and activities conducted by the community group. Includes parties, weddings, reunions, meetings and events conducted by private parties, groups (other than a community group), organizations, and not for profit organizations. Includes any use or activity conducted with the intent of realizing a profit from the sale of goods or services to others, including events with paid admission. General liability insurance coverage is required for any private or commercial use of a County facility or grounds, and for any community group use involving sale or serving of alcoholic beverages. Proof of the required insurance in the form of a valid insurance certificate naming Alpine County as additional insured on the user’s insurance policy, or in the form of special event insurance coverage purchased through the Alpine County Auditor shall be provided to the responsible County department at least 10 business days prior to the scheduled use.